This story is part of the Sprawl’s fourth pop-up edition, which is all about 17 Avenue SW and SE. 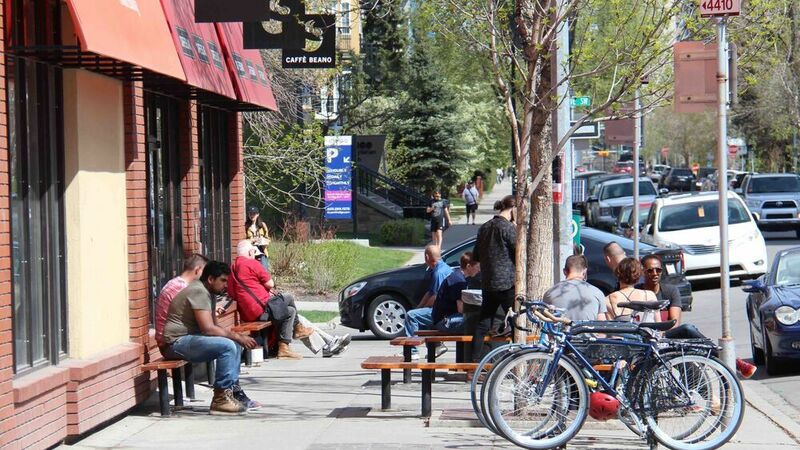 Both of these streets are culturally, socially and economically significant to Calgary — and both are undergoing major construction, shaped by different visions. We rely on crowdfunding to do what we do. Please support the Sprawl on Patreon so we can keep doing in-depth local Calgary journalism like this! 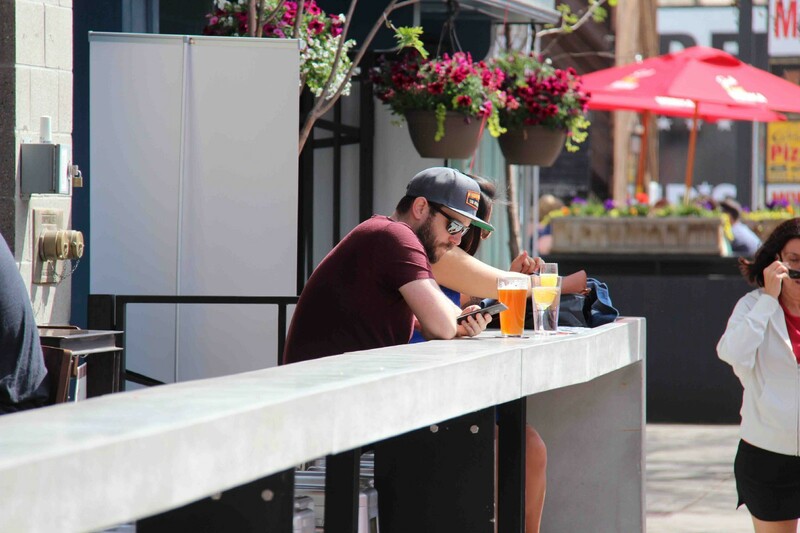 Ximena González soaks up the sun on the Ship & Anchor patio, a golden pint of Village Barnacle pilsner in hand. A few metres away, 17th Avenue is ripped out and fenced off, closed to vehicle traffic. 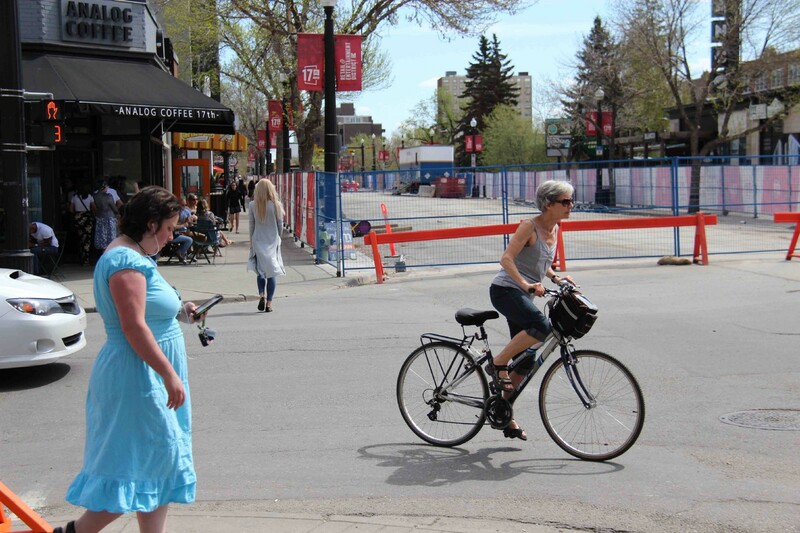 The City of Calgary has warned her, warned all of us: construction this summer will be a doozy and, in the city’s parlance, “17th Ave is gonna be sweet” afterward. But González and other patio-going Calgarians have made a surprising discovery in recent days: a car-free 17th is already pretty sweet. Maybe even sweeter than usual. “I think I prefer this,” says González as a water truck roars by in the construction zone, then is gone. 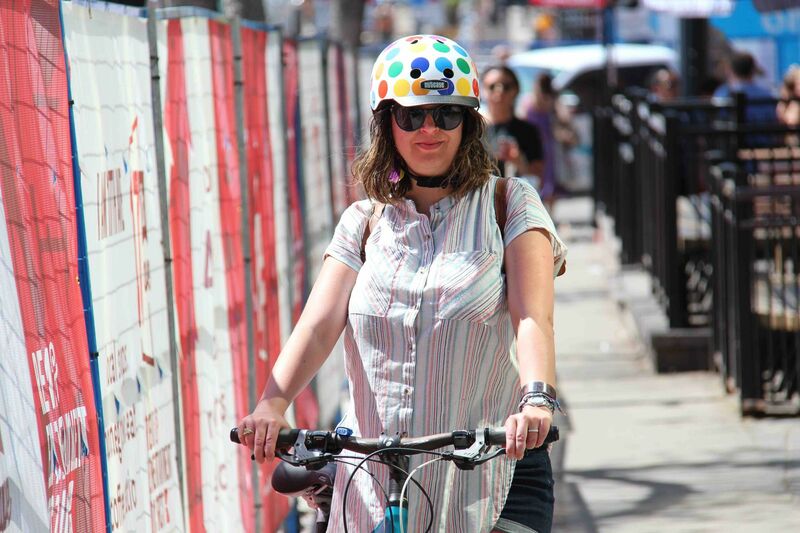 González runs a boutique PR agency that specializes in architecture and design, and in summertime bikes from her home in Sunnyside to 17th almost daily. While construction at times makes patio conversation on 17th difficult, the lack of loud motorcycles, cars and trucks are a welcome relief. And the new setup is starting to catch on. It’s no pedestrian paradise by any means, with fences and little detours all over the place. But the heavy construction has changed the dynamic of the street—in good ways and bad—sparking a lively conversation about what’s possible on 17th. Mitchell thinks the city should explore ways to make 17th more people-friendly—up to and including closing the street to cars at times. 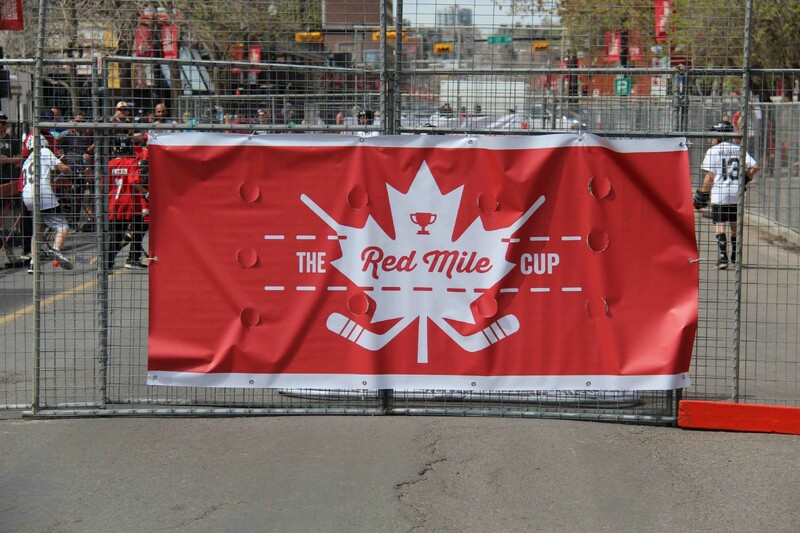 Events like last weekend’s Red Mile Cup, a street hockey tournament, have a positive business impact, she says. This perspective, needless to say, is not universally held on 17th. 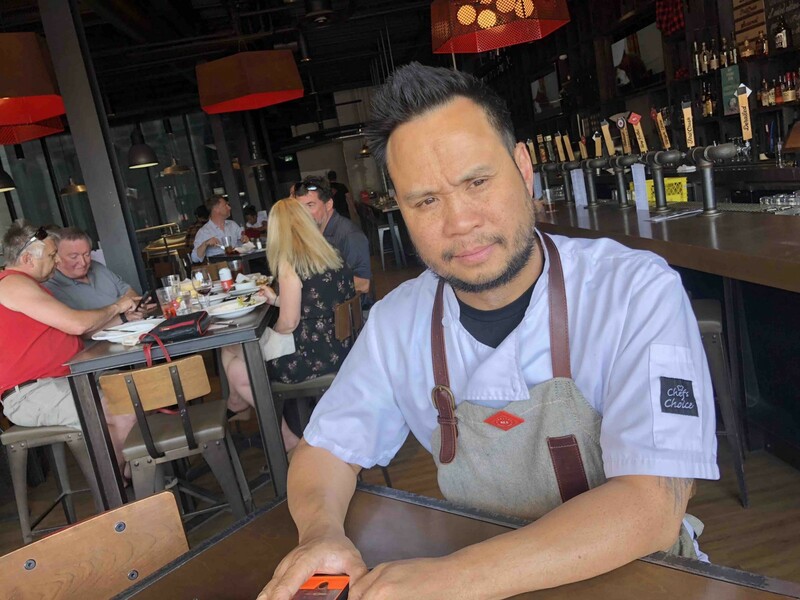 Across the street, at the Trolley 5 brewpub, owner Ernie Tsu is happy that loud motorbikes aren’t parking out front and disturbing patrons on his patio. But he believes the street works best as is—with its all-day mix of cars, bikes and pedestrians. 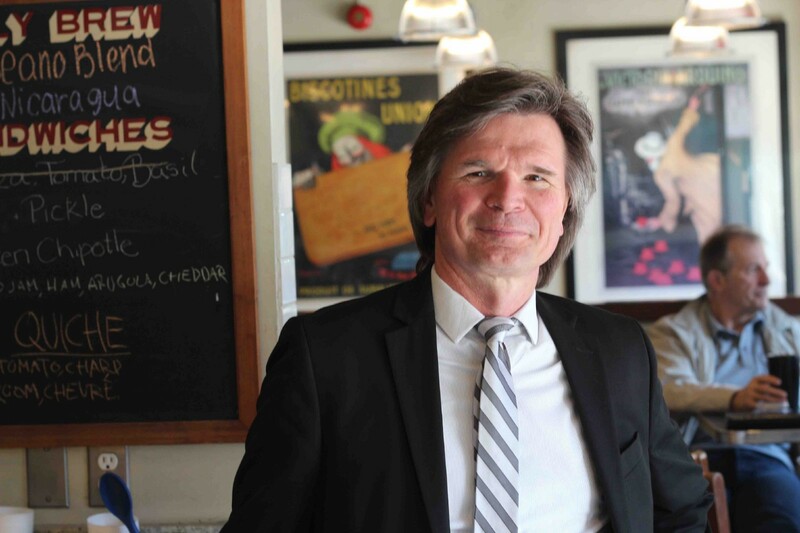 “We’ve taken a drop in business for sure [from construction], because you don’t have that vibrant street traffic,” he says. He’s less keen on exploring car-free times. 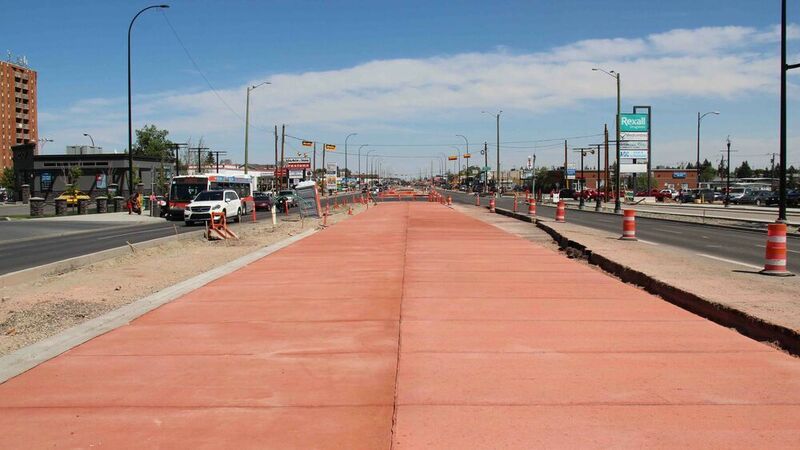 Tsu’s words—”the feel of what 17th Avenue is”—get at a larger question regarding the street’s future. Should the city have an ambitious plan for 17th, or stay out of the way and let it evolve, keeping its distinct, if imperfect, flavour? Binks’s group is calling for such a vision, including a cycle track along 17th and more off-street parking options in the area. 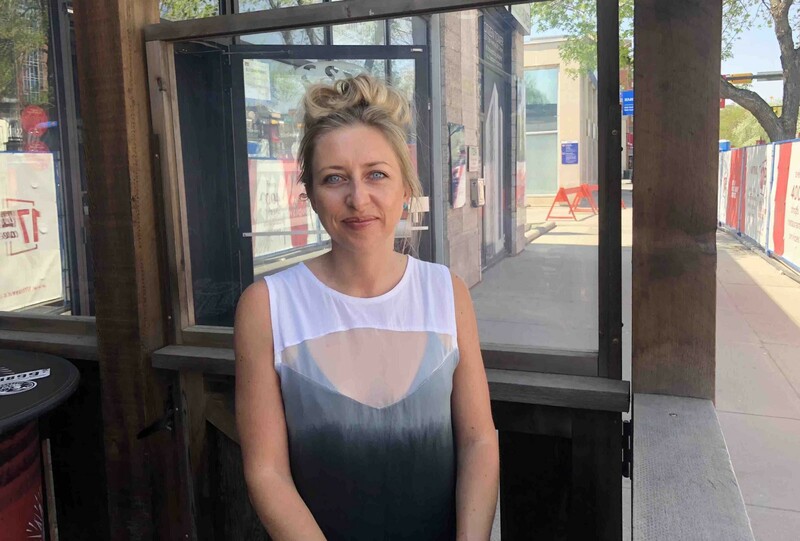 “I think 17th Ave has unfortunately suffered from a lack of a controlling vision for what the district should or could be,” says Binks. But is an overarching master plan, driven by the city, the best route? González notes that in Mexico, where she grew up, some of the best main streets just happen—they are not necessarily planned. Councillor Evan Woolley takes a similar view, noting that while there’s no master plan for 17th per se, the street is included in an overlapping hodgepodge of plans—including the area redevelopment plans of neighbouring communities. A 17th Ave cycle track? There is one area where González believes the city should play a bigger role: bike infrastructure on 17th. Her enthusiasm was short-lived. The city has balked at putting bike infrastructure on 17th, preferring to preserve on-street parking and keep the street as an east-west thoroughfare for vehicles. Instead, a painted bike lane is on 15th. But as a middle-aged male, Stanley matches the profile of the confident cyclist who’s comfortable riding among cars (“I loved the interaction with vehicles,” he says of his former bike commute in Toronto). There’s a massive gender gap in urban cycling: only 25% of cyclists in the city’s 2016 bicycle and pedestrian count were female. New cycling infrastructure is geared more toward people like González than Stanley. Local blogger and community activist Mike Morrison believes it’s a mistake to keep bikes on 15th Avenue instead of 17th. Back at Blanco Cantina, that’s the sort of behaviour Mitchell has been observing, thanks to the construction fences pushing people a little closer. 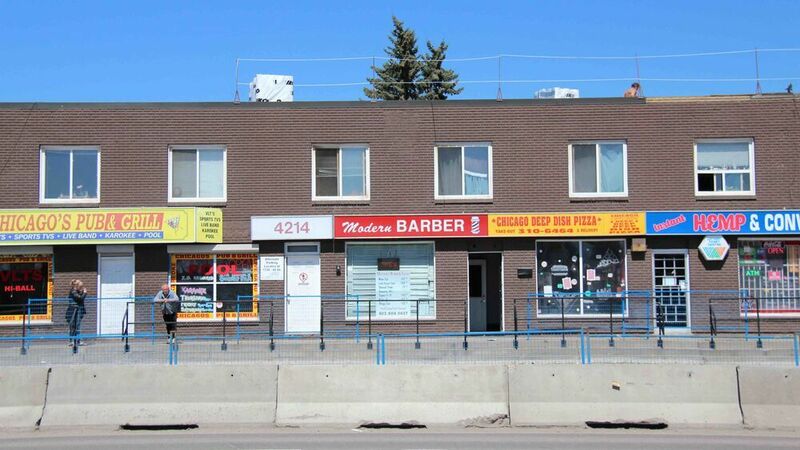 For more about the future of 17 Ave SW, check out the latest episode of Sprawlcast (subscribe on iTunes). We rely on crowdfunding to do in-depth Calgary journalism like this. Please support the Sprawl on Patreon so we can keep it up!